Albert Einstein was ESA’s 4th Automated Transfer Vehicle (ATV). After delivery lots of supplies to the International Space Station if departed last week carrying 1.6 tonnes of waste and garbage. Each ATV mission ends with the spacecraft burning up harmlessly in the atmosphere and this one burnt up on November 2nd at 12:04 GMT over the Pacific. Only this time they snapped a photo as it happened (several photos in fact)! 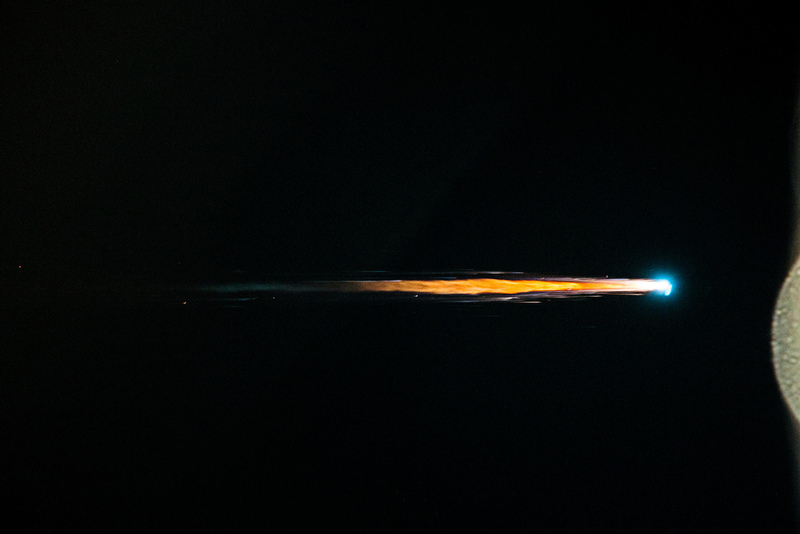 This image was taken from the ISS when the ATV was 100 km below it and and had begun to burn up as a fireball. You’re seeing 1.6 tonnes of human waste, old clothing, and the kind of stuff you’d find in your own bin or trashcan. Check out the full set of images on ESA’s Flickr page. I wonder if it was visible from the ground?